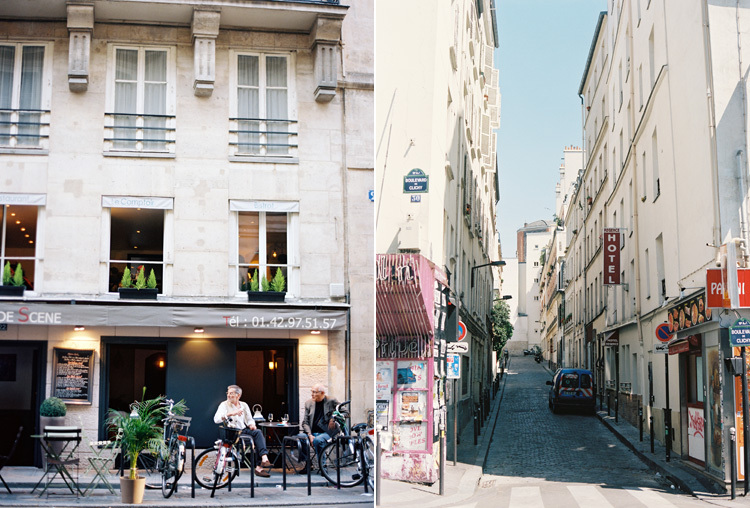 For having only shot two rolls on film on Paris, I sure eked out a hefty number of blog posts. Bear with me for this somewhat miscellaneous photo dump of Paris scenes. 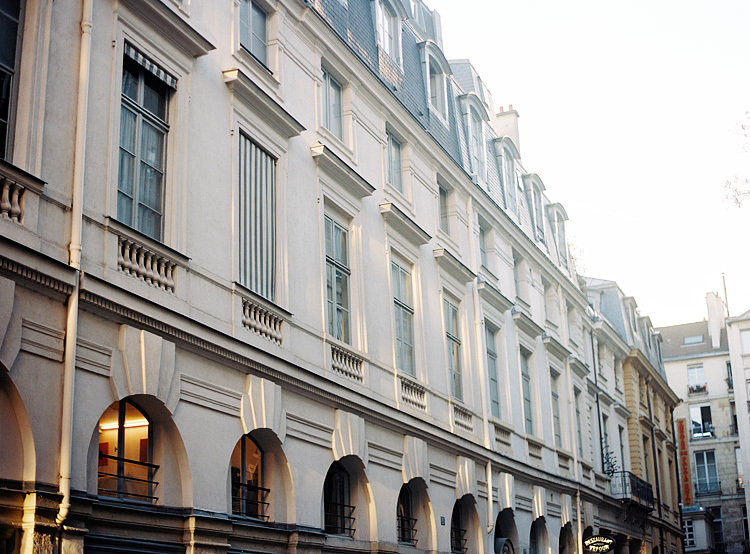 Although I friggin' love NYC, Paris sure makes NYC buildings and apartments look downright ugly. We've got lots of brick, but they have this beautiful cream-grey stone. Every street way I looked down was another photo to be made. Awesome shots, love those creamy tones. I can't wait to visit Paris this winter. man, i need to move to paris. like now. Your stunning photos are making me dream of Paris!! Totally inspired by you to go one day! Absolutely adore the last two photographs. I had booked a trip to Paris in April but had to cancelled it the last minute, so I truly enjoy visiting Paris through your lens. I'm a big film guru myself :) I was just wondering what camera you were using? Thanks! Hi, Sophie! 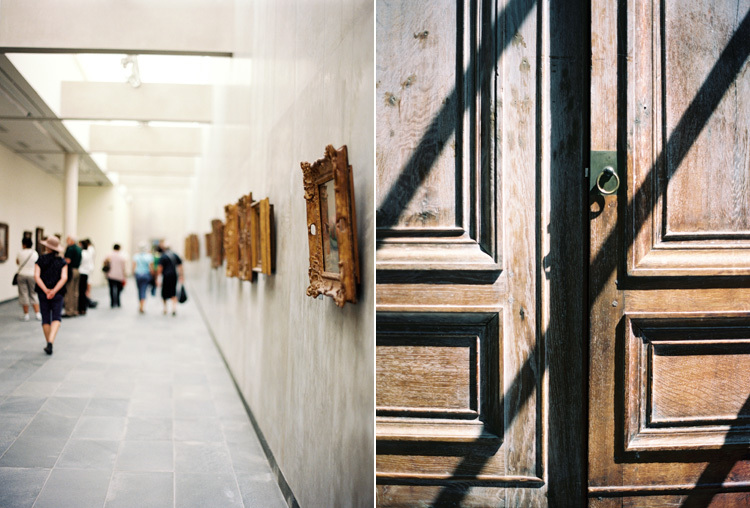 These were taken with the Contax 645. 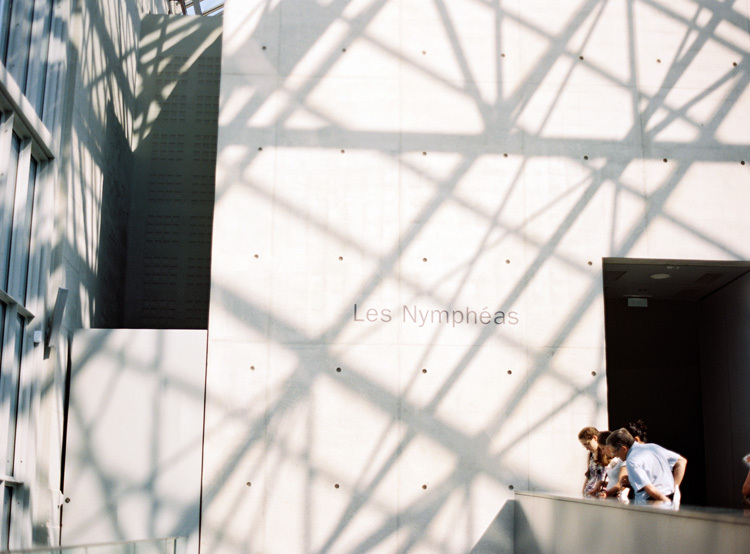 I'm taking a trip to New York this summer and was wondering how traveling with film works? I heard somewhere that airport security (x-rays) damage film or something so am kind of worried of something bad happening! Would love if you could let me know! :) Beautiful photos by the way! You usually don't have to worry about film through x-rays unless you're travelling with ISO 800 speed and higher. If you're extra paranoid, you can have them handcheck it and usually they agree to. Beautiful! I don't know how you kept it down to 2 rolls of film. I'm going to Rome in October and I already know I'm going to come back with 10+ rolls! 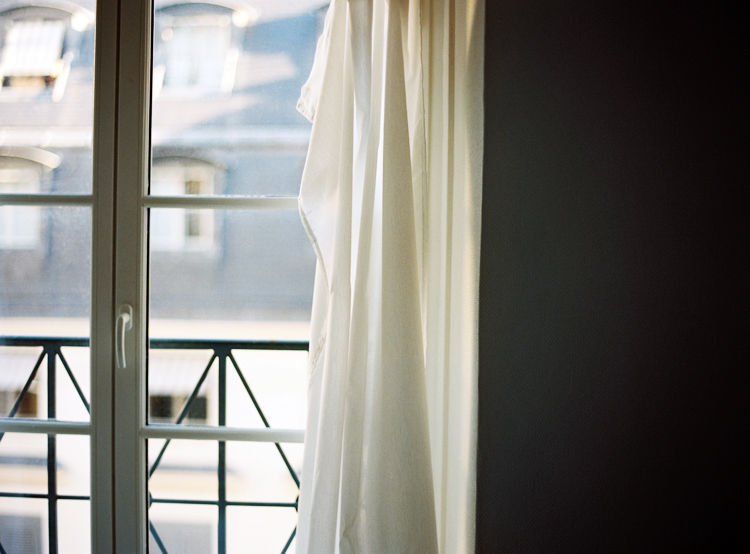 The light in Paris looks incredibly beautiful. your film photography looks like it is digital. it's just so perfect. 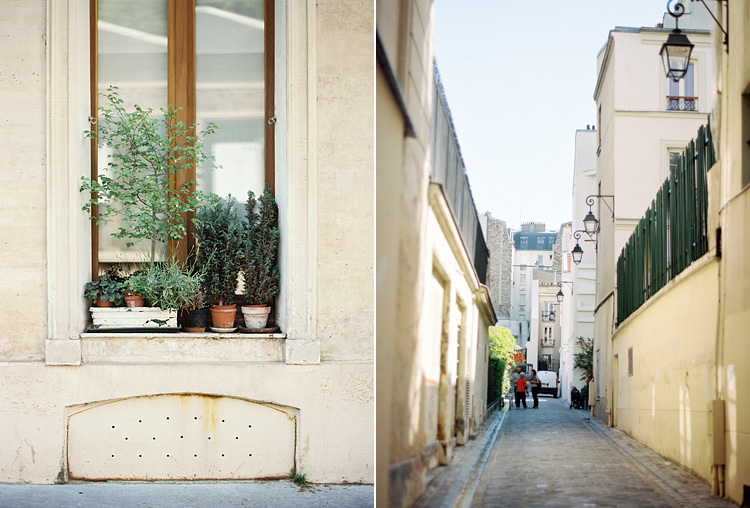 it seems like no matter in what direction you walk in paris, there's always something to discover. Alice, your photos are breathtaking! 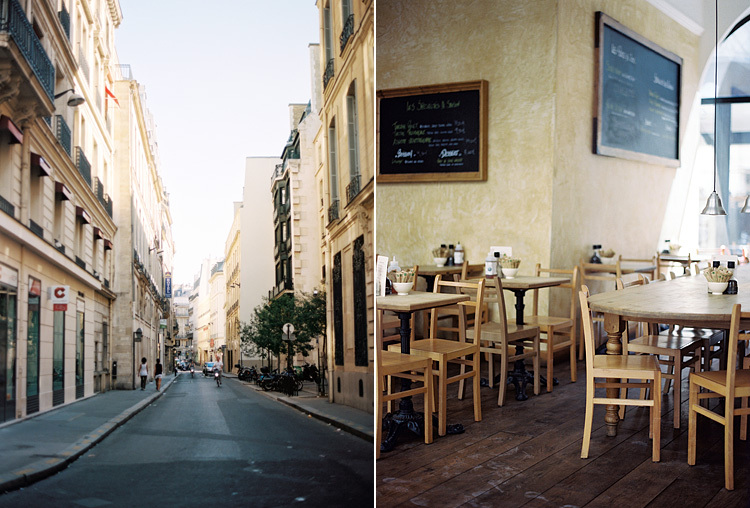 I used to go to a local cafe, buy an espresso and croissant and sit there to people watch for hours. I can't agree more about the architecture. In a way, they remind me of London too except it's more vibrant and crowded here. Awwww this is SO beautiful! Now I want to go to Paris. Beautiful! Love the composition, Alice! 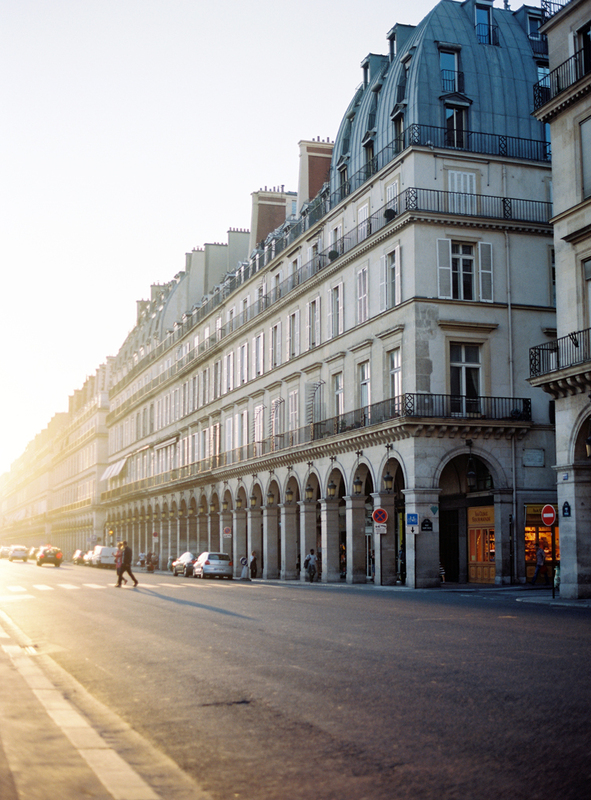 These are the most beautiful shots of Paris! Amazing!!! 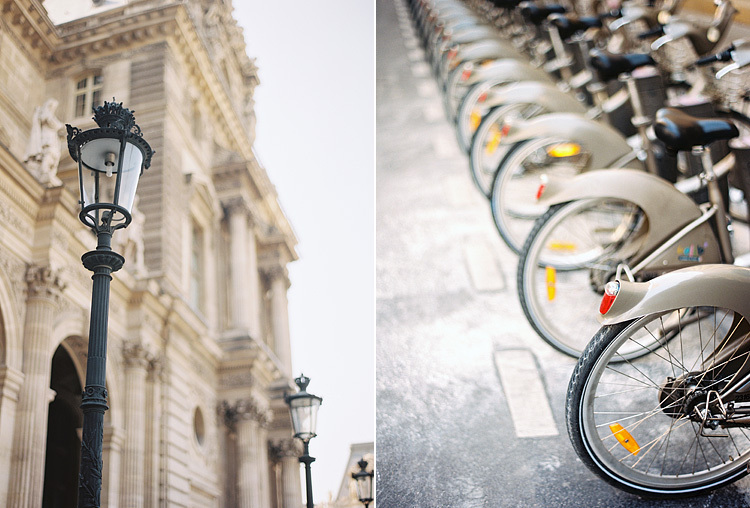 Oh these photos make me want to visit Paris again! Such a pretty place! The light from the street is just amazing. lovely to see Paris through your eyes! what kind of film did you use? these are just breathtaking and so fresh! I think there's some Portra 400 and some Portra 160 in there. Thanks! Paris is probably on my list of top 3 favorite cities of all time :) If you liked Paris, you'll really love Rome! 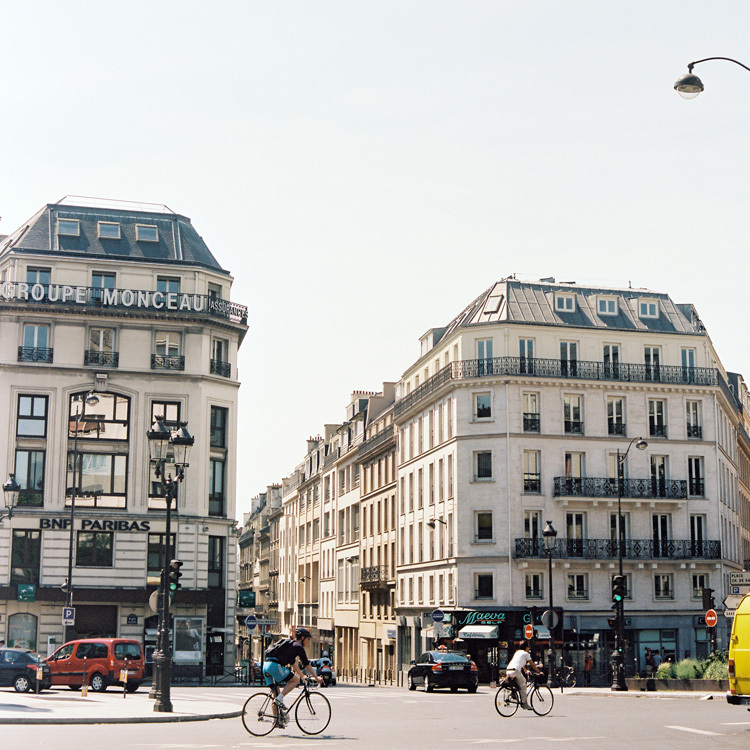 These photos are beautiful, and really take me back to La Ville-Lumière. Thanks for sharing all of them, Alice! so, so beautiful! love the street shot with the burst of light.